Quality Oil Co. LLC was founded in 2007 by Barry Mullins. As a lifelong resident of Southington, he noticed a need for a discount oil company within the community where he grew up. In the spring of 2007, he bought a used 1991 Chevy oil truck and shortly after began taking orders for oil deliveries on his cell phone and used the kitchen table in his home as an office. 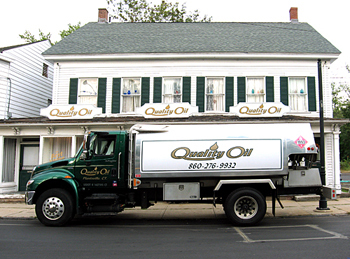 Within a few short years the company has grown to several employees and is currently located at 189 Atwater Street, Plantsville, CT.
Quality Oil Co. prides itself on delivering exceptionally low oil pricing to Southington & surrounding towns by efficient delivery routing & low overhead.